The G Shaped Kitchen is a version of the U-shaped kitchen layout, with countertops forming a G shape. 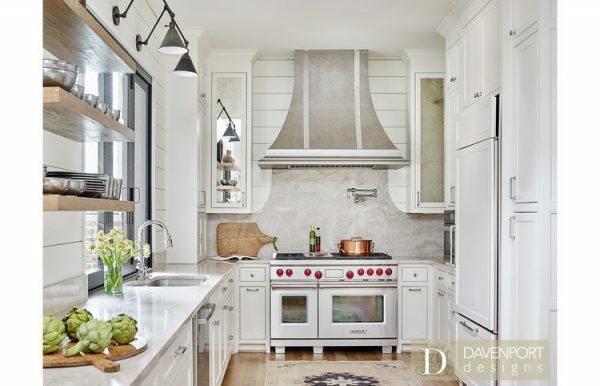 This layout has the same amount of counter space and storage options that surround the cook on three sides. However, the difference with the G-shaped kitchen floor plan is the peninsula or partial fourth wall of additional cabinets. 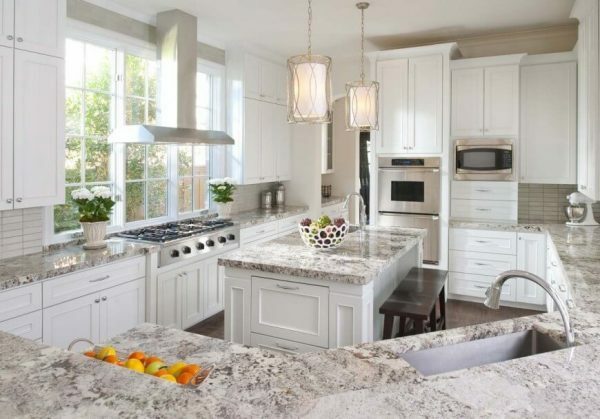 You can see in the above example of a g shaped kitchen the abundance of counter top and cabinet storage in this layout. 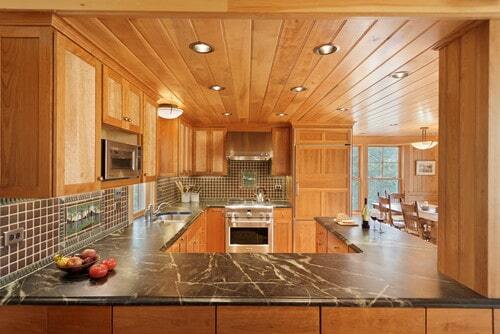 I enjoy this particular example because it's rare to see a stovetop with a view. The G shaped kitchen layout is essentially a hybrid version of the U-shaped layout. It's best suited to those who want to pack every square inch of kitchen possible into their space but don't have room for the clearance required around an island. Like the u shape kitchen setups, there is an efficient work triangle between the stove, sink and refrigerator with this layout. 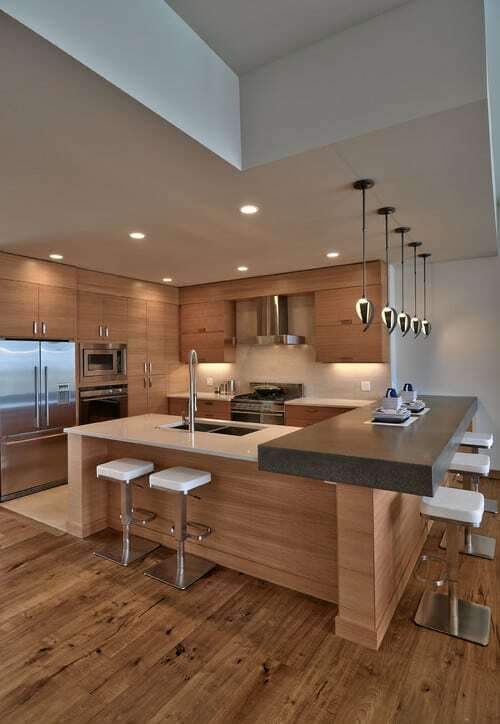 In the above example, the refrigerator is not located in the kitchen and the cooktop is located on the peninsula of the G.
Many of these layouts have seating on the peninsula of the G making them ideal entertaining kitchens. Make sure the peninsula is not so long that getting in and out of the kitchen becomes difficult. Essentially this area is a work aisle, not a walkway, so a width of 4 feet would be ideal. 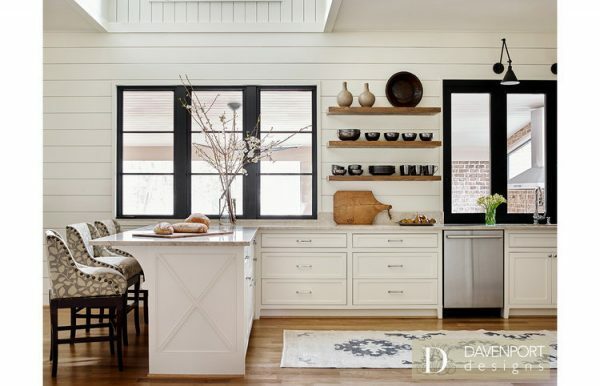 At the same time, don't make the peninsula so short that it can't offer enough room to seat a few guests or contain an appliance. 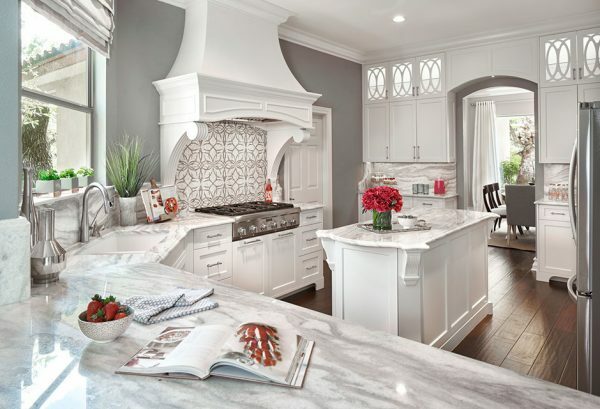 In this example of a g shaped kitchen by Bennett Frank McCarthy Designs, the G peninsula only acts as extra storage and countertop space.